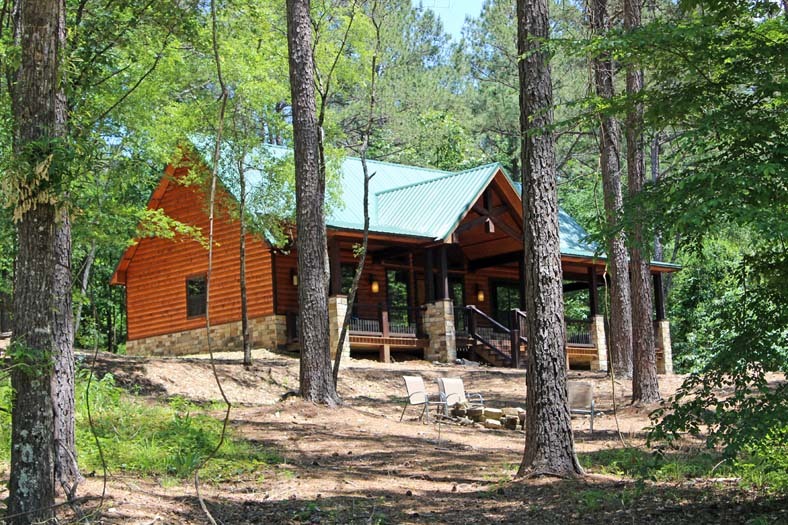 White Tail Waters is located on 40 private acres, along with six other cabins and a community center that are all managed by Beavers Bend Log Cabins LLC. The cabin was built and completed in 2016. 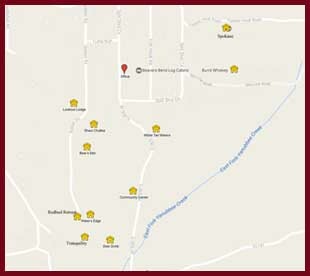 Along with White Tail Waters, the six other cabins listed on this website are located on the 40 acres. 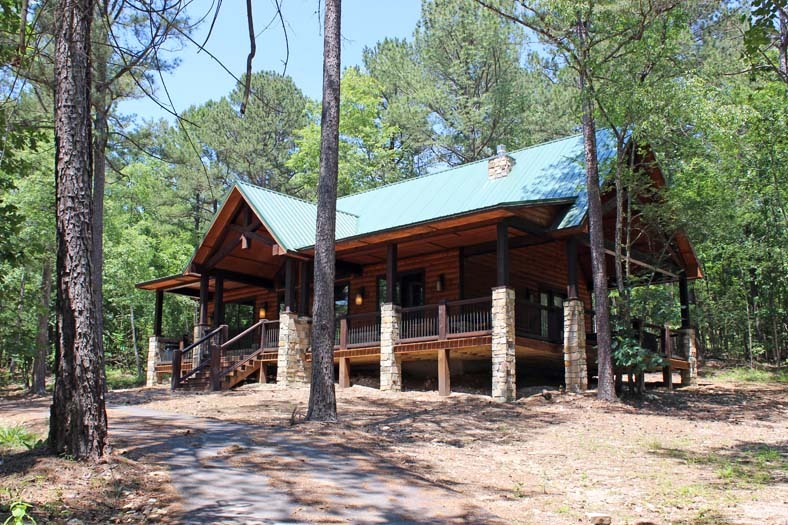 Two small, shared, catch & release fishing ponds and a nine hole disc golf course can be used by guests staying in any one of the seven cabins located on the private 40 acres. Golf discs are provided for use during guests visit. 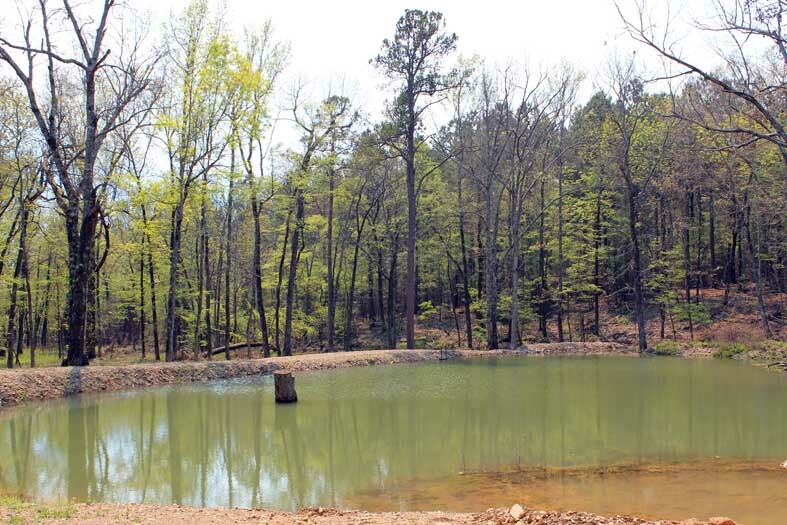 Fishing poles, tackle, and bait are not provided for the catch and release ponds. This Cabin sets on the downward slope of a west facing hill. It is elevated high above, and about 60 yards from one of the stocked ponds. 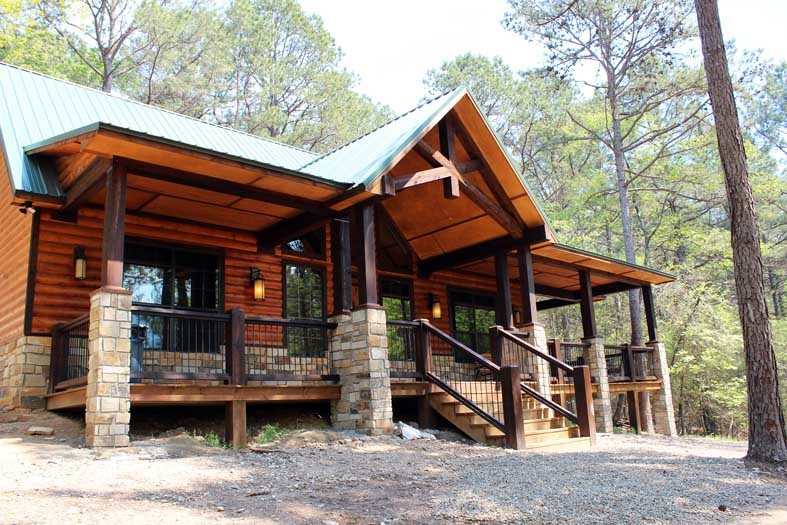 There are an abundance of tall pine and hardwoods alike that surround the property. The pond is a local hangout for deer & other wildlife, don’t worry though, no bears. 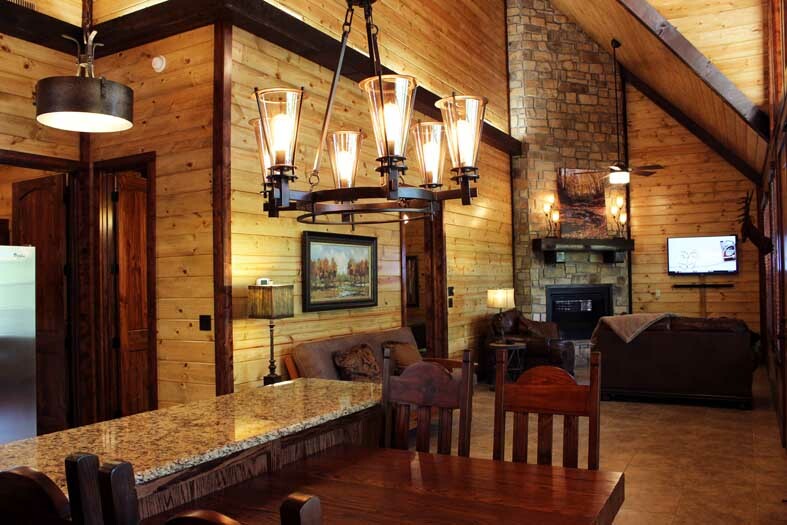 As the photos show, the planning, design, and decor combine elegance and luxury into a well built and highly insulated log cabin. When the days are hot, the central a/c will keep you cool and comfortable. 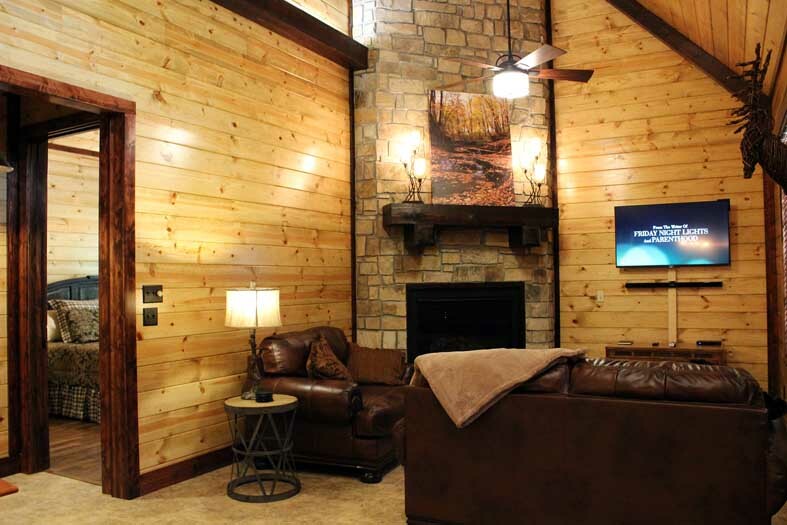 When the nights get chilly, the indoor gas burning fireplace will hypnotize and warm you. Or, just step outside and enjoy the outdoor wood burning fire pit. There is a private horseshoe pit also located outside. 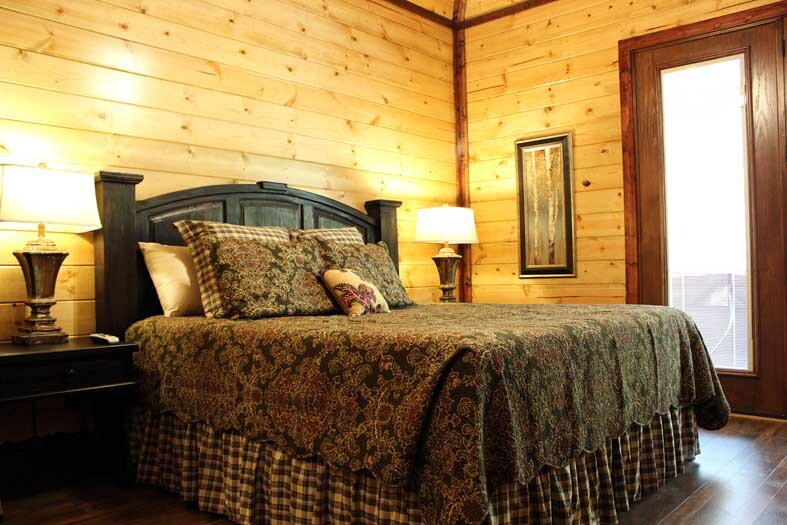 The cabin is one story with an extra large and spacious king-sized bedroom. A 40 inch HD TV with complete DirecTv programming sets on the wall facing the bed. The adjoining bathroom has a separate bathtub and overly spacious standing tile shower. The shower has several body sprays, along with a standard shower head. 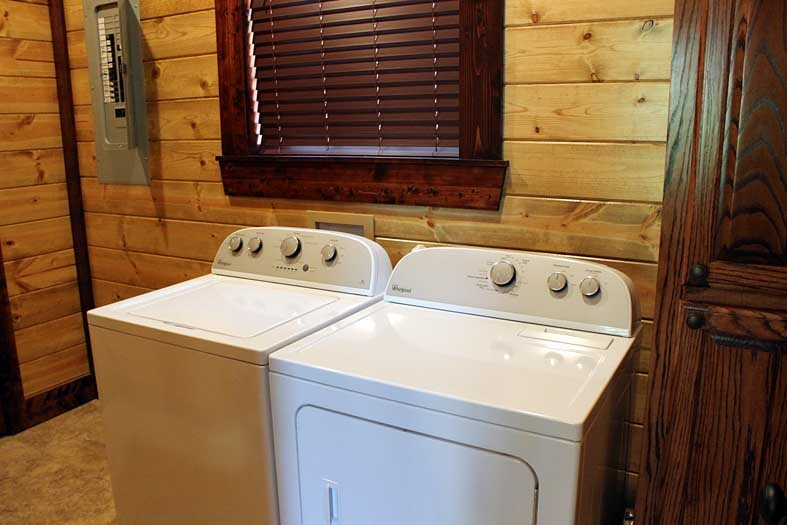 The cabin is also equipped with a tankless hot water heater. This will ensure the beautiful new tile shower or bathtub never run out of that much needed hot water you need to fully relax. 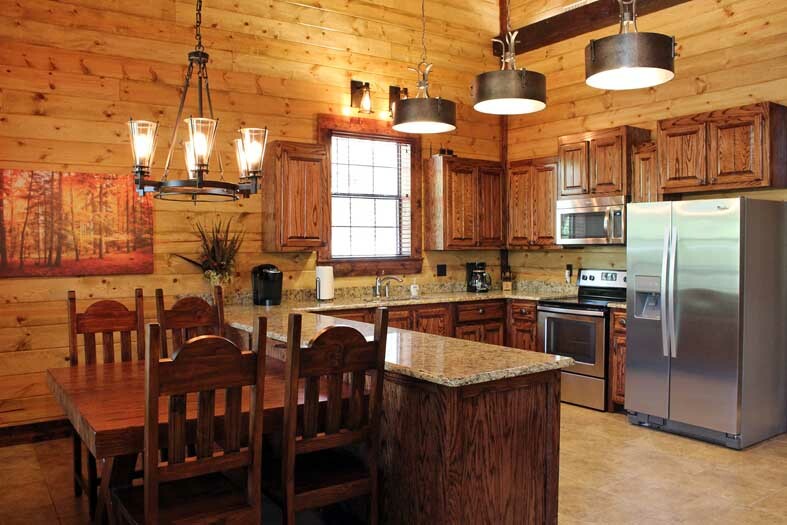 The kitchen has an electric oven/range, dishwasher, refrigerator, microwave, Keurig coffee system, 12 cup coffee maker. It is fully furnished with everything needed to prepare any type of meal. Pots, pans, plates, flatware, cups, glasses, and a wide variety of cooking utensils are all provided. 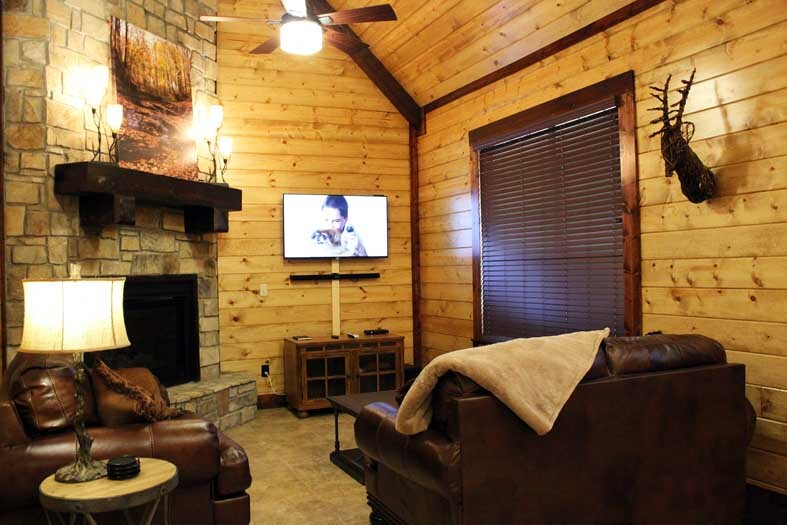 The TV/living area has a 50 inch HD TV with DirecTv programming, including all premium movie channels. Also in the living area is a full-sized futon sleeper, which will allow the cabin to sleep a maximum of four guests, children included. Wireless internet can be used throughout the property, using the provided pass code. 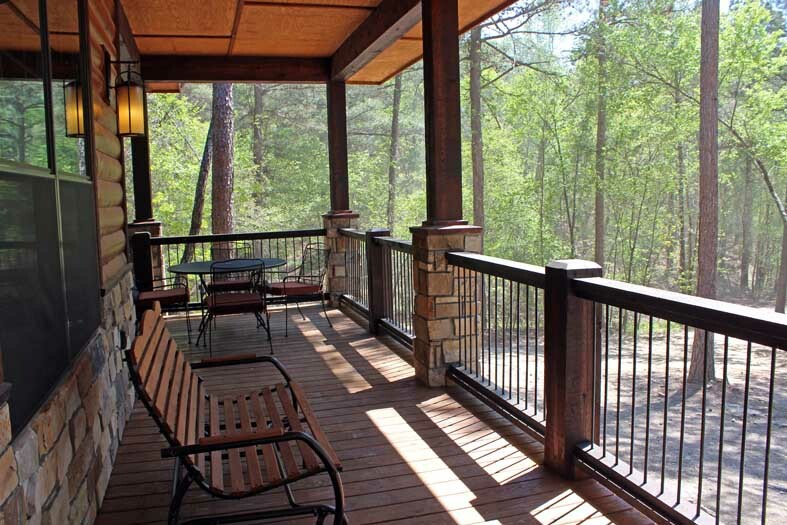 Outside, on the large covered porch, a table and chairs, charcoal grill and hot tub can be found. 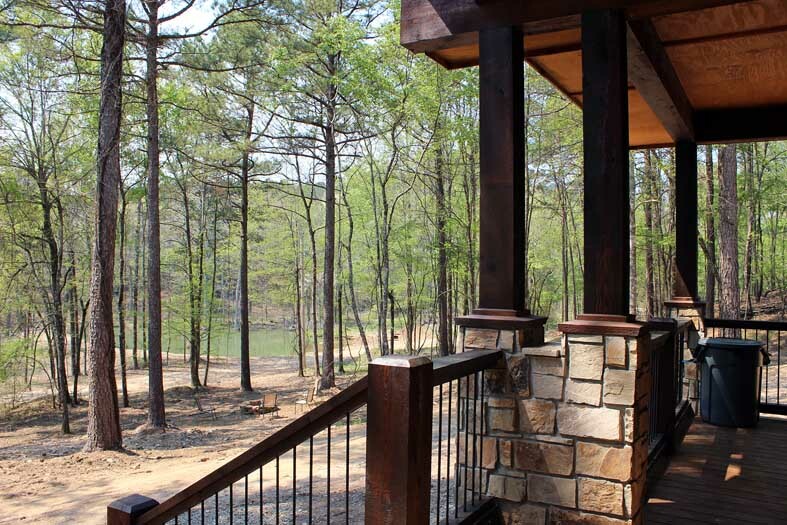 The front covered porch overlooks the newly stocked, shared fishing pond. 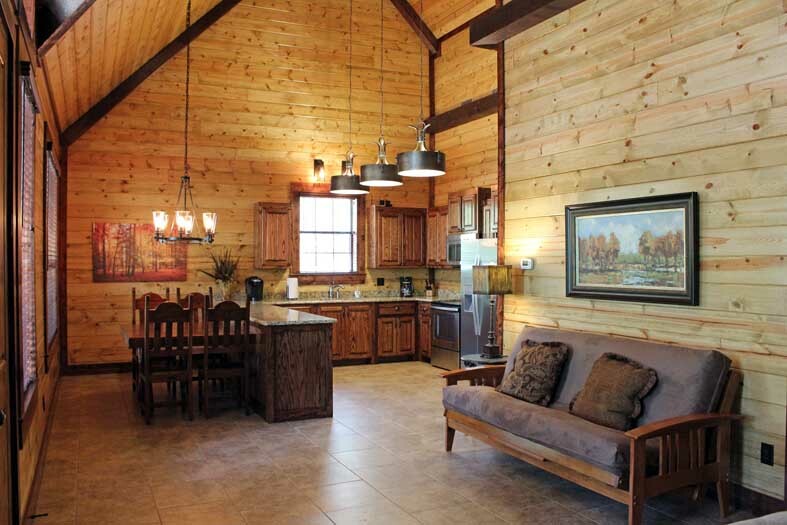 White Tail Waters is one of seven cabins that receive a $25.00 discount on the community center when rental dates of both the cabin and center coincide. 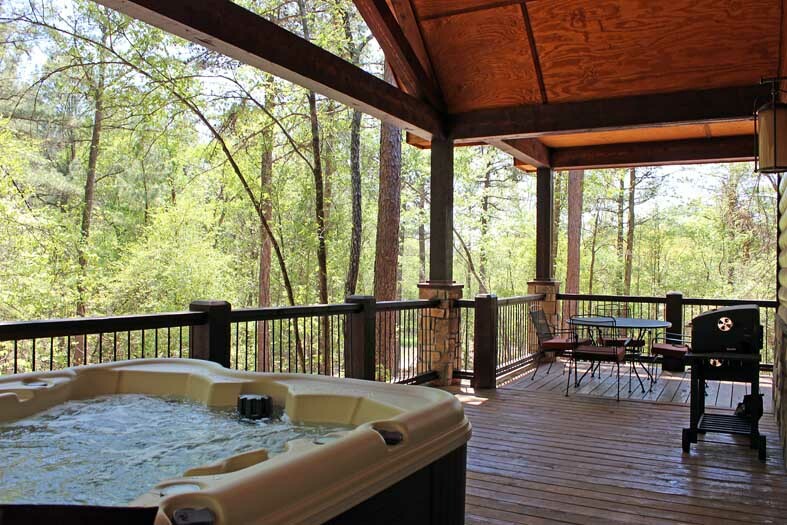 The cabins are White Tail Waters, Deer Drink, Tranquility, Redbud Retreat, Water’s Edge, Bear’s Den, Shaui Chukka, and Seclusion. 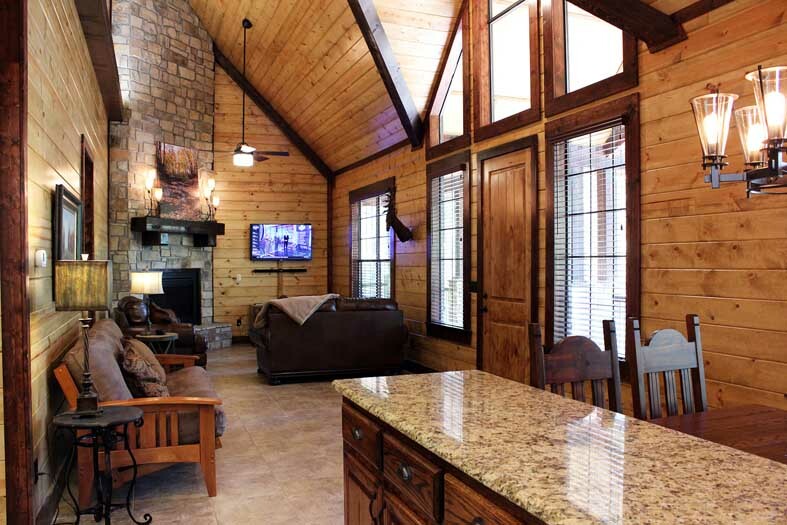 Discounts are given for each of the six cabins rented. 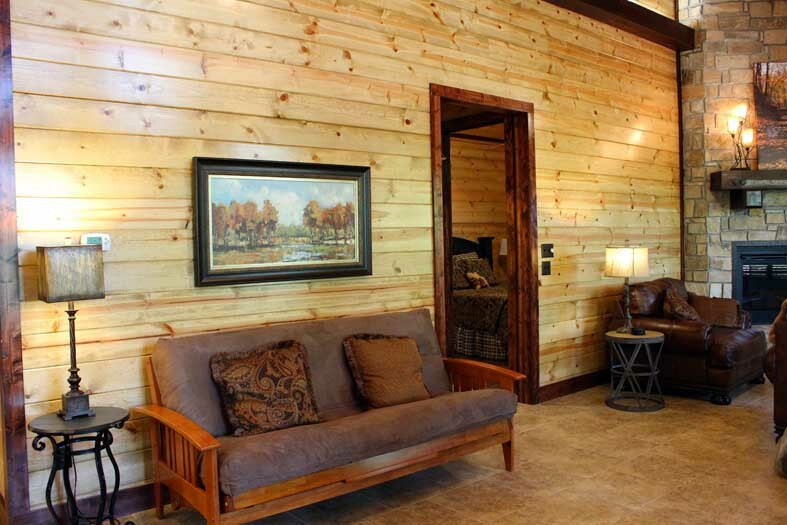 This allows the total discount on the center to be anywhere from $25.00 for one cabin, to $200.00 for all eight cabins.